This is how it looks in generated application. Turn Add/Edit pages into multistep wizard-like pages. 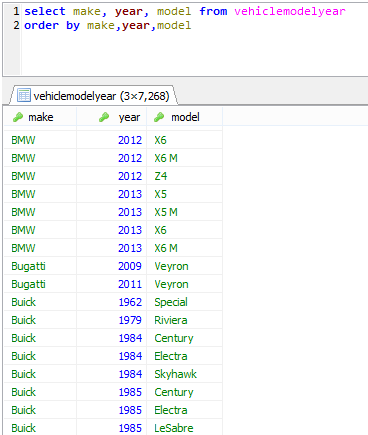 We want user to select Make first, then YearOfMake and only list those Models that match this selection. 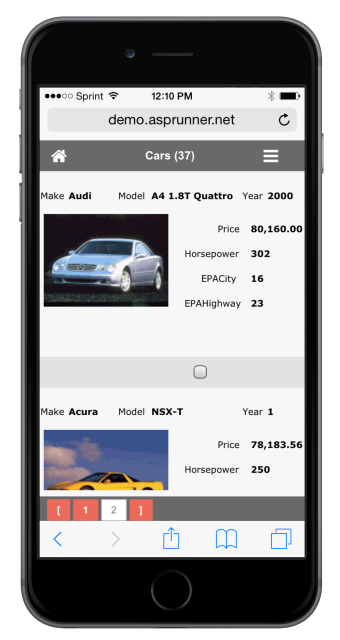 YearOfMake is dependent on Make, Model is dependent on both Make and YearOfMake. You can also choose what to do after "Edit in popup" action is completed (close popup or keep it open). Added industry standard reCAPTCHA support. Better UI and works on all mobile devices. Flash-based CAPTCHA is still supported for compatibility purposes. Maps can be a part of dashboard now. There are two different map modes. Map can serve as master, you can zoom in into any area on the map and related grid will only shows records in this region. 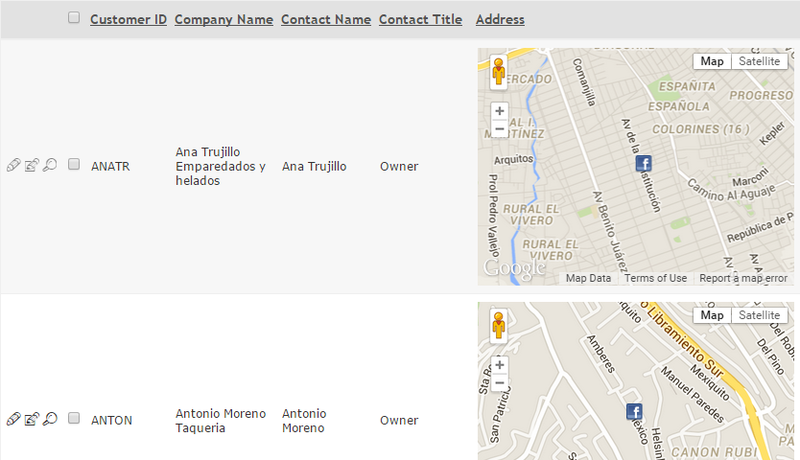 In other words you can use map to filter grid contents. 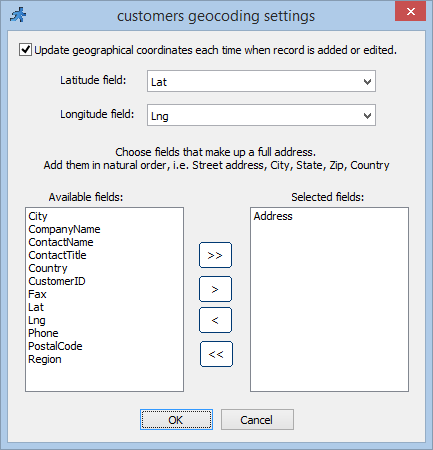 In second mode map simply shows all the same records that appear in the grid. 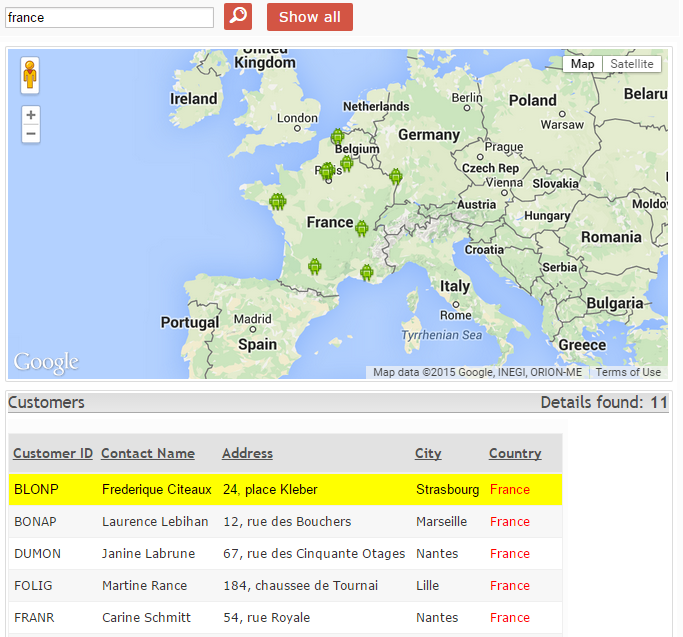 Choose custom icons to display on the map. 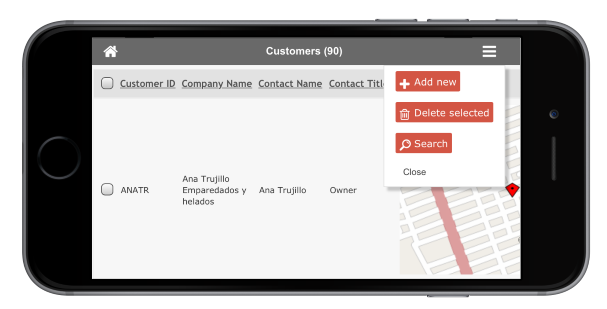 Custom icon source can be another database field with image name or PHP expression. 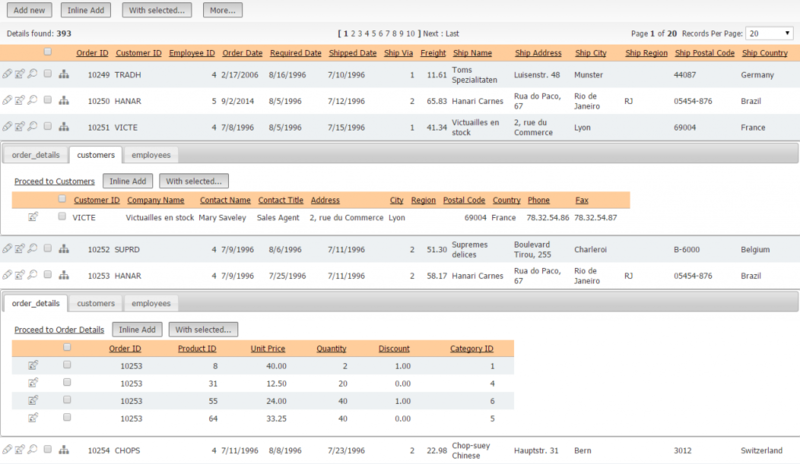 You can use this functionality to display different icons for different types of objects or even a custom icon for each record. 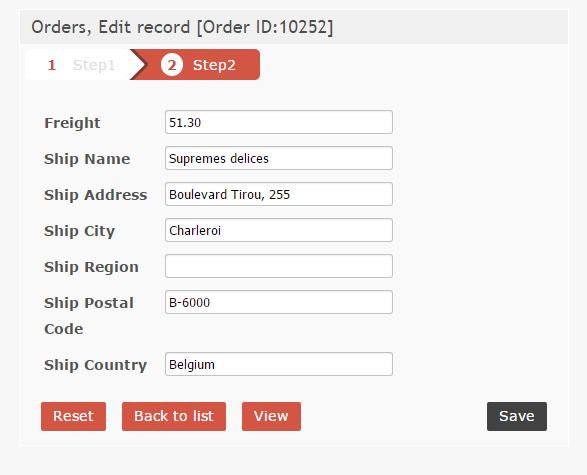 Edit/Add/Delete details records in dashboards. 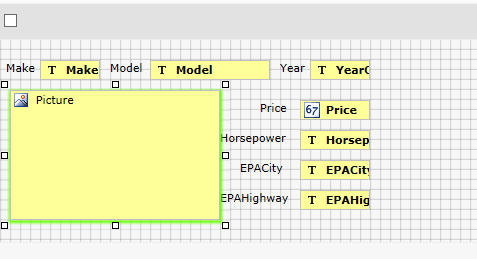 New option - show an icon instead of the list of details tables. 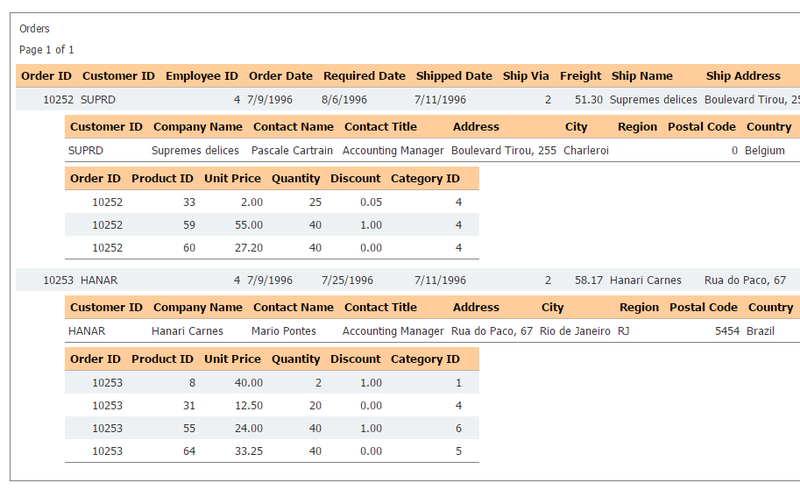 Details tables shown in the tabs below. Especially useful when you have lots of details tables. 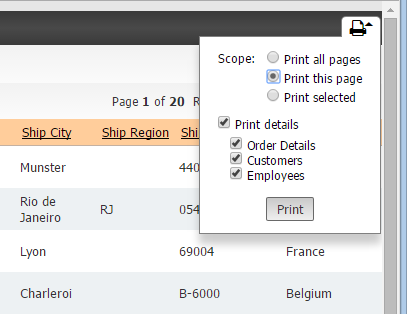 Brand new feature - you can print master and details records together. 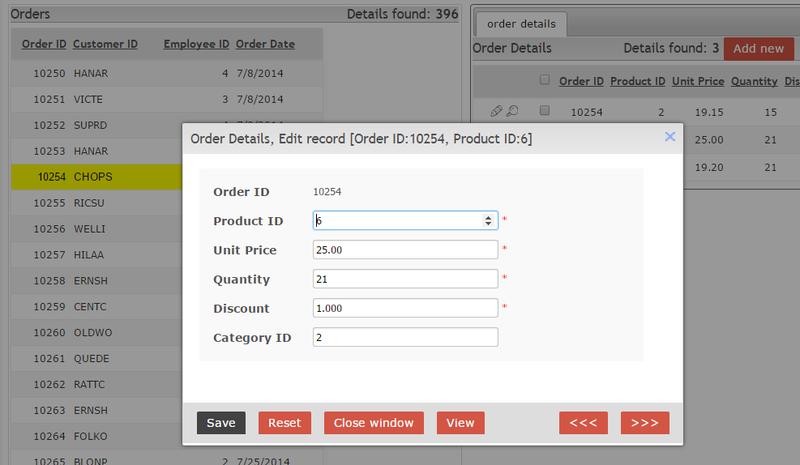 You can choose which details table to print. 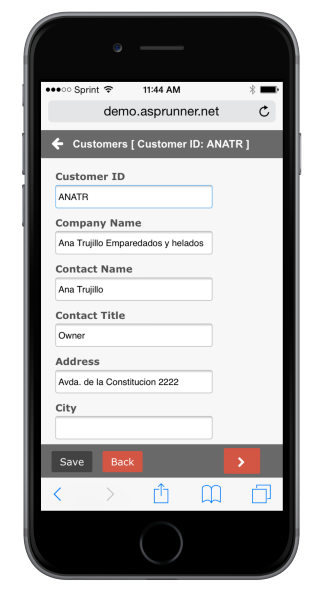 This is how it looks in the live application. You can choose to display a standard error message or your own error message. You can also see error happening in AJAX mode i.e. 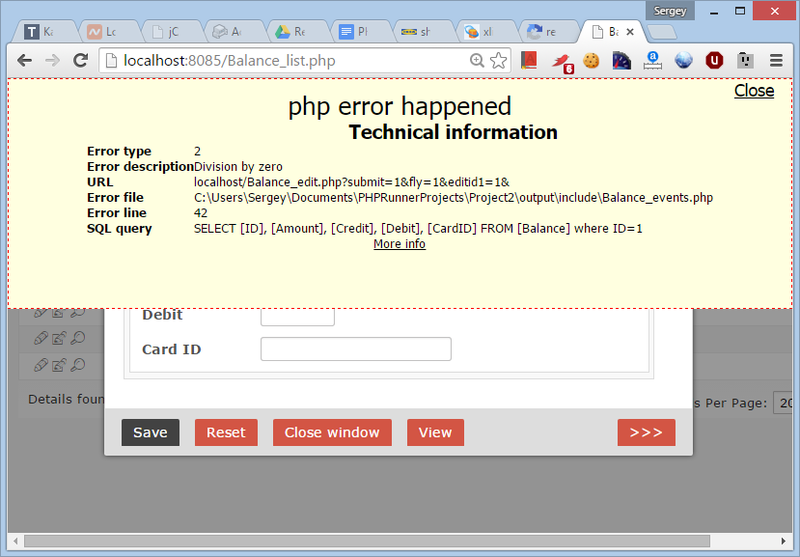 when page is displayed in popup or error happening in button's code. 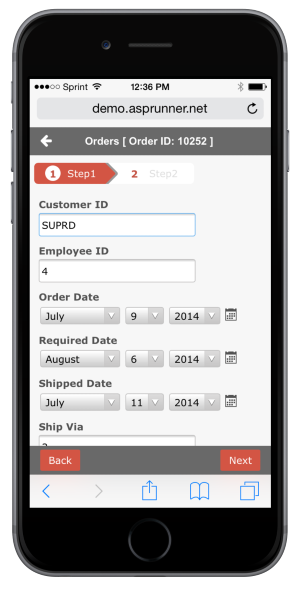 Mobile template was redesigned to provide better user experience. 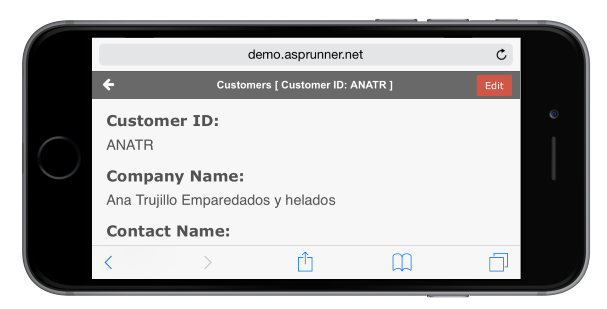 Added fixed headers and footers with quick access to page actions. When we can download the stable version ? Hi. I have phpRunner 7.1 Enterprise licensed. How much upgrade to PhpRunner 8.1?